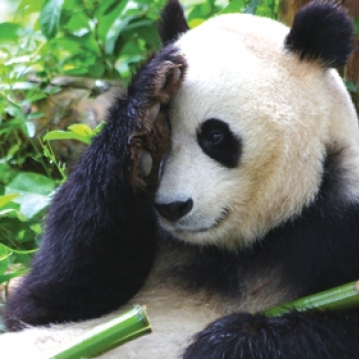 Facing The Future: Pandas, People and the Planet Need YOU! 1. Educate Yourself - Don’t buy into seven-second soundbites. 2. Speak Up and Speak Out - It’s our right to be heard in America. 3. Don’t Stereotype - Learn to listen and perceive from your heart. 4. Be Proactive - Know you can make a difference! We are at another crossroad, where choices must be made and our actions must be potent. Sometimes we don’t see the whole picture and can lose sight of the goal. Becoming disheartened will lead to apathy, so know your voice matters, your votes count, your tweets influence and your Facebook page can inform, educate and uplift others. It is also important to remember that we, human beings, influence others around us everyday, all the time. Positive emotions and happy thoughts permeate the restaurants, homes, stores, card rooms, theaters and malls, and so do negative ones. If you really want to make a difference in the world, smile and find what’s shining brightly within you so you can emanate your beautiful brilliant light into the world. And then, be proactive in acting on your good wishes for our beautiful earth – be heard! Now onto matters of our blue planet…. The following information was drawn from an IMAX press release about a new nature-themed film. 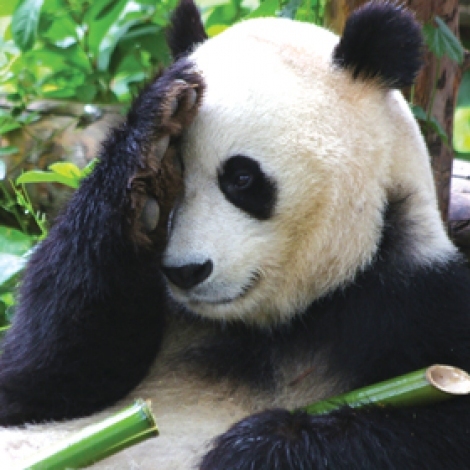 “Los Angeles, CA - August 2, 2018 – IMAX Corporation and Warner Bros. Pictures today announced that the Kristen Bell-narrated IMAX® documentary adventure ‘Pandas,’ a heartwarming global story about reintroducing captive-born pandas to the wild, was released in limited IMAX® and IMAX® 3D theaters on April 18, 2018, with a commercial expansion starting August 17, 2018. The film is rated G.
The IMAX press release further states, “At Chengdu Panda Base in China, scientists are taking the captive breeding program to the next level and preparing captive-born cubs for the wild. This film follows one such researcher, whose passion leads her to initiate a new technique inspired by a black bear rehabilitator in rural New Hampshire. What starts as a cross-cultural collaboration becomes a life-changing journey for one special panda named Qian Qian. As September rolls around, and the heat of summer lingers on, take your happy, wild self to the IMAX movies and celebrate those who care to ensure our land, our animals and our species both thrive and survive. For those celebrating the Jewish New Year, Shanah Tovah - A Good Year 5779!